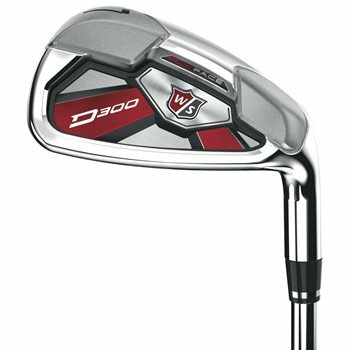 The Wilson Staff D300 irons were designed for distance. Featuring the next generation of FLX Face Technology, which minimizes contact points between the thin face and club head, the D300 delivers maximum bend upon impact for a powerful launch. The D300 also features Power Hole technology, which are holes filled with TE031 Urethane around the club face to allow for added face flex at impact. Heel and toe weighting is optimized to increase MOI for advanced forgiveness.